The U.S. military’s buildup along NATO’s eastern flank, stretching from the Baltics and Poland down to Romania and Bulgaria, could be curtailed if the Trump administration elects to delay or cancel scores of planned construction projects to fund a border wall. The Pentagon on Monday released a list of $12.9 billion worth of projects that could be defunded in some combination to divert $3.6 billion for a wall along the U.S.-Mexico border. The 21-page list highlights military projects worldwide that had not been awarded contracts as of Dec. 31. More than $600 million in projects focused on deterring Russian aggression in Europe are potential targets identified by the Pentagon, including ammunition depots, fuel storage sites and rail network improvements centered on speeding the U.S. military’s ability to respond to a crisis. Retired Lt. Gen. Ben Hodges, the former head of U.S. Army Europe, said cutting such projects would be a blow to efforts in countering Russia. In Europe, several school construction projects could be in jeopardy, including plans for a new $79 million Spangdahlem Elementary School, a $56 million Clay Kaserne Elementary School in Wiesbaden and a $46.6 million new Robinson Elementary in Stuttgart. Other long-planned efforts, such as the $43.9 million expansion of the Marine Corps’ headquarters in Stuttgart and a $31 million mission training complex in Grafenwoehr – the Army’s main training area in Europe – also are potentially on the chopping block. 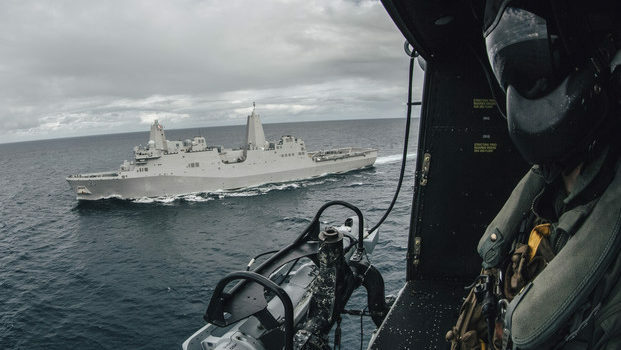 A Defense Department fact sheet said no decisions have yet been made and that if the Pentagon’s 2020 budget request is enacted on time, no military construction projects would be delayed or canceled. In Europe, the largest number of projects is related to the military’s ongoing efforts to deter Russian aggression through the European Deterrence Initiative, or EDI. While much of that military campaign has focused on funding operations, such as rotating armored brigades from the U.S. to serve as reinforcements in Europe, another dimension centers on logistics. Since Russia’s 2014 forced annexation of Ukraine’s Crimean Peninsula, the United States and allies have spent billions trying to improve infrastructure that would be needed to move forces in response to a conflict. “I cannot stress enough that U.S. (European Command’s) ongoing and future success in implementing and executing these strategies (to deter Russia) is only possible with Congress’ support, especially the sustained funding of the European Deterrence Initiative,” EUCOM commander Gen. Curtis M. Scaparrotti told lawmakers earlier this month. Hodges said beefing up logistics networks is one of the ways the U.S. compensates for a smaller Army presence, which stands at roughly 32,000 soldiers on the Continent. A focal point has been the setup of large ammunition depots scattered at strategic locations in Europe, improvements at ports where weaponry would be offloaded and at various railroad points where gear would likely be hauled. And there are scores of initiatives that have been funded, but for which contracts are yet to be rewarded. Some of the biggest plans are in Poland, where about $145 million is to be spent on ammunition and fuel storage sites, staging areas and rail extensions. The Pentagon list also touches projects in central and Eastern European countries: Hungary, Slovakia, Romania and Bulgaria. Areas of focus include military airfield upgrades and munition storage areas. In addition to logistics efforts, a plan to build a $15 million special operations training center in Estonia is on the list. In southern Europe, $21 million to improve port facilities at the U.S. Navy’s hub at Rota, Spain, and $47.8 million to improve Navy logistics and mobility centers in Souda Bay, Greece, also are at risk.